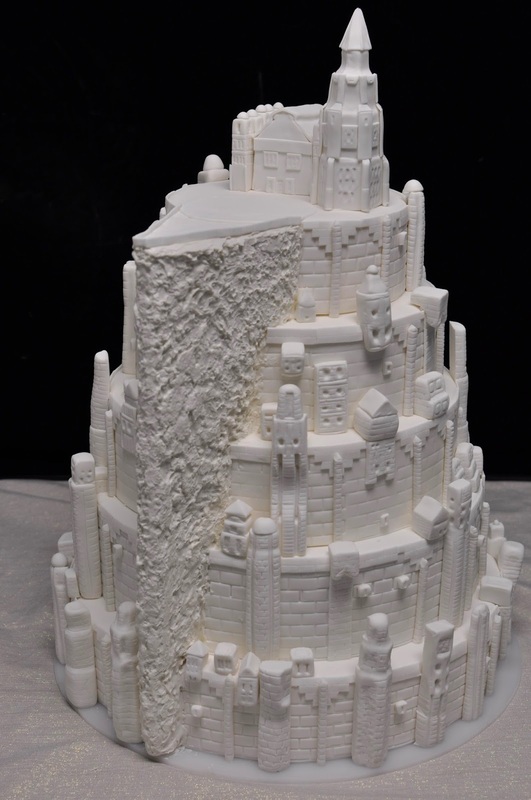 We recently had the enormous honor of making a bride and groom's dream come true with a cake that resembled the city of Minas Tirith from the Lord of the Rings. 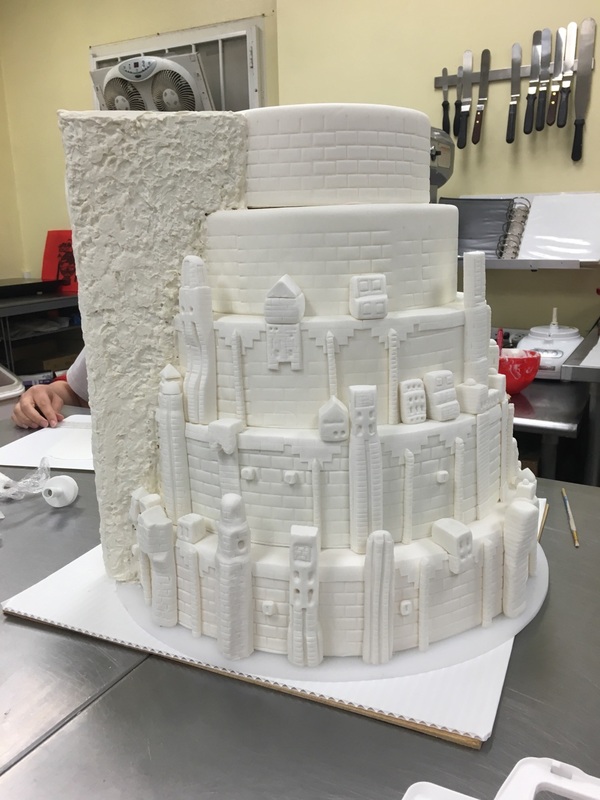 When I met with them, I knew what an undertaking it would be, but they were so nice, and it kind of looked like a wedding cake anyway, so I said we'd take on the challenge! 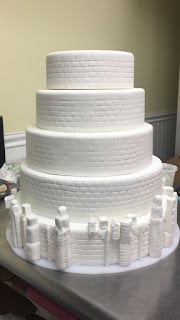 You may have noticed we don't do a lot of gravity defying cakes, but since the structure was more traditional I was happy to attempt this challenge. We drove through the winding roads of Fallbrook up to an incredible wedding venue, the Enchanted Forest to see a perfect setting for the wedding. 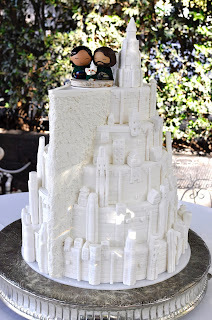 The bride and groom adapted some toppers with a likeness of themselves with their utterly adorable dog, Omelette for the top of the cake. We also served mini desserts to go alongside, tiramisu in chocolate cups, profiteroles, macarons, cupcakes and fruit tarts. 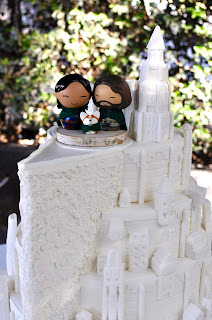 They clearly invited a lot of hungry hobbits, as everything was demolished quickly! This is what we started with, a mock up of the entire cake, the top tier and the bottom tier were made of styrofoam, so they were covered in fondant, then we started on the buildings on the bottom tier. 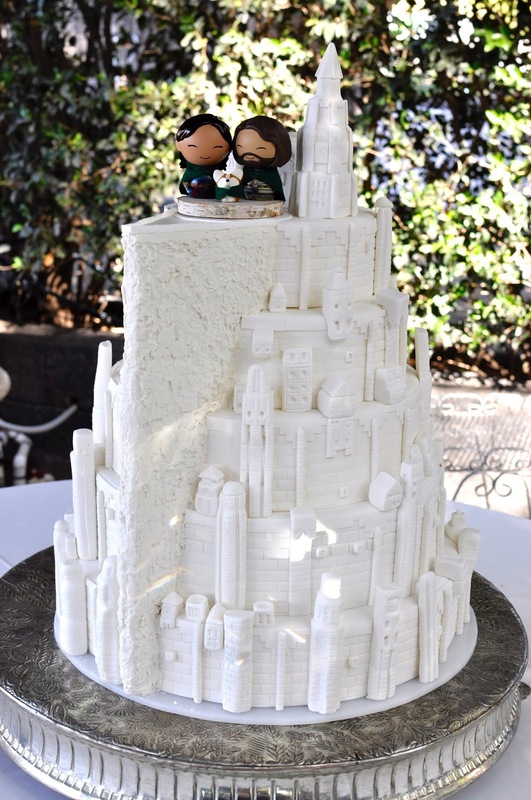 The cake was decorated in white to be more wedding like, instead of the grey in the original city in the film. There were many pieces to create, Alvin took most of a week just making pieces like these. We then started cutting pieces to add to the top of the wall. 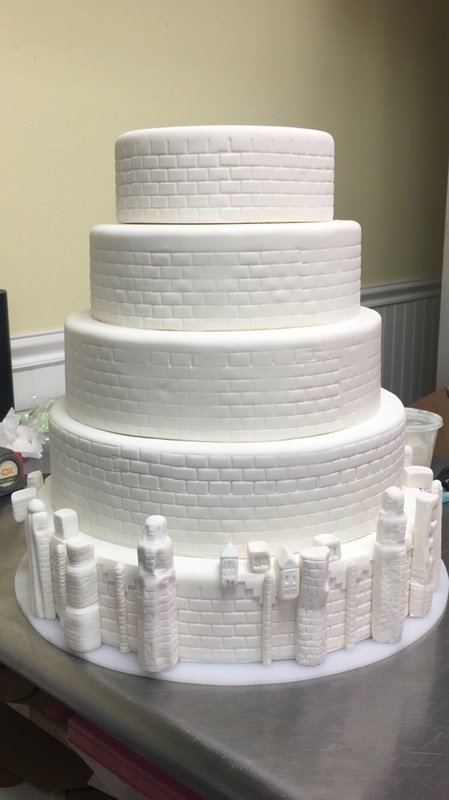 Here you can see Kelsea, Holly and Alvin starting to add the pieces to the stacked and finished cake. 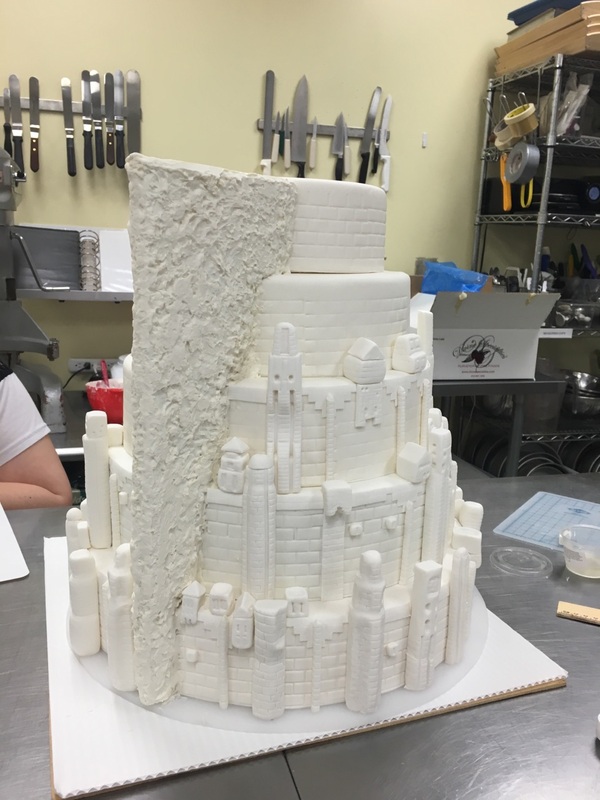 You can make out the 'wall' which was made of rice krispy treats on a cardboard center, which was then spackled with white chocolate to make it look like the stone in the original. 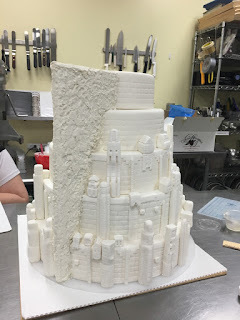 Here are some more in progress shots to show the wall and the buildings being added.